Leveling is essential to any floor, and this process is applied to ensure a flat surface for many reasons. Floor leveling is done with the help of primer coatings, critical substrates, fillers, and adhesives. Floor leveling compounds are commonly poured to achieve finer tolerance for setting of tiles or vinyls. Such a compound is best used on wood or concrete floors. Old wood floors may have developed humps and dips just as concrete floors which may be the result of the laying work. Before installing floor tiles or other decorative surface floorings, these problems must be solved using these leveling compounds. Floor levelers are either acrylic-based or water-based. Latex compounds are normally used as a mixture with water or as a two-part system consisting of powder and liquid latex. The mixing is done with an electric mixer so that the resulting liquid is a thorough mix. It is essential to know the right amount of water to be mixed in water mixed compounds. The substrate should also be clean, sound and free from dust, plaster droppings, grease, paint or any other material. Usually, a primer is used to improve viscosity as well as blend thoroughly. Cementitious leveling compounds are used so that the pour substrates are leveled and can achieve finer tolerances for the installation of final floor finishes. The final floor finish is usually tile, carpet, wood flooring, or linoleum. 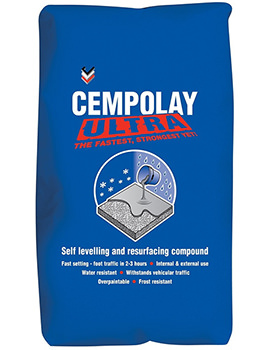 Cementitious thin section levelling screeds range from 3mm up to 40mm and can be either applied using a pump or manually. These compounds have a high tensile strength and are used in industrial toppings, have quick drying properties and therefore are quick to install. It is finished using a spike roller and that too quickly to ensure a good flow and before it dries up. Floor leveling compounds come as regular that can be spread using a leveling or spreading tool or a self-leveling compound. 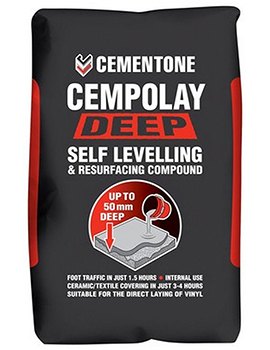 The self-leveling compound is easy to apply and typically comes in ready to use mixed form. It is also more economical to use as you do not need an experienced mason to do the job.